One day we will look back on Tesla Autopilot as one of the great inventions in history. This is what you need to know about Autopilot: safety, accidents, features and more. One day we will look back on Tesla Autopilot as one of the great inventions in history. This is science fiction made real: the car taking the strain and saving lives while you kick back and relax. Elon Musk’s men have essentially changed the car forever and they’re not even close to finished. This relatively small start-up from Palo Alto has forced the established masters of the automotive industry to respond to its technical innovation. So, self-driving technology at Tesla could be even more profound than the battery-powered cars themselves in the final reckoning. That’s because Autopilot was more than the first driving assist system. It is also the blueprint for every car of the future. Thanks to Tesla’s hard work in the face of a barrage of criticism, self-driving cars are a step closer to reality. The major manufacturers simply had no choice. They had to respond to Autopilot and fast-track the whole autonomous car movement. Without Tesla leading the way, we could have taken another decade to get to this point. We simply cannot overstate the point: Tesla forced the whole industry to respond and change. So, now the competition is just round the corner, how advanced is Autopilot and where does it go from here? Tesla first offered Autopilot in October 2014 and I was delivered as an over-the-air update to Model S owners. It was a crude form of automation, in hindsight, which could take the controls on the freeway or in stop-start traffic. Autopilot didn’t always look like a nailed-on hit and it brought a lot of heat Tesla’s way during a spate of crashes last year. Tesla even had to peg back the system thanks to people’s over-reliance on unproven technology. There have been problems, there have been inquests and a very public falling out with major partners along the way. Now, finally, Autopilot seems to be through the first growing pains and the world at large is getting behind the system. Tesla has also forced the world’s biggest car manufacturers to actually do something as well. It could have taken them years without this Silicon Valley upstart pressing the pace. We just don’t know, but if self-driving cars take over in the coming years, then this could be Elon Musk’s legacy. The early data, from more than 47 million miles of logged driving, has proven Elon Musk’s point entirely. 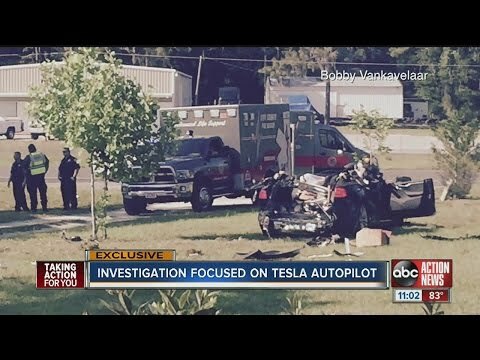 A Tesla with Enhanced Autopilot is approximately 50% safer than an unassisted human driver and the system is getting safer. Tesla boss Musk reckons that the system in its latest incarnation is three times safer than a human driver and he has the stats to back up his case. The NHTSA invested several incidents, particularly the high-profile death of Joshua Brown, before concluding that the system was not at fault and that Autopilot is indeed saving lives. In 2017, Tesla reckoned that its incident rate was 40% lower thanks to the driver assist functions. Apart from that one fatality, where the driver was actually watching a movie at the time, there have been no more recorded deaths to explain. That, in itself, is remarkable and bears out Musk’s point. Tesla has grown exponentially as a company and is about to enter the real mass market with the Model 3. Yet there has been just one death that wasn’t attributed to Autopilot in any case. America’s average fatality rate in 2015 was 0.52 per 100 million miles. Tesla had 1.3 billion miles of Autopilot data alone in December and that number is growing with every passing week. So, the stats speak for themselves, Tesla is way ahead of the safety debate and most of the slings and arrows have been aimed at the name, rather than the technology. Every Tesla that leaves the production line now has all the hardware Tesla thinks it needs for full, Level 5, autonomy. In October 2016, Tesla produced ‘Hardware 2’ cars with a complete suite of autonomous hardware that will simply lie dormant until it can be armed with an over-the-air update. Tesla has fitted eight cameras, one radar system, 12 ultrasonic sensors and a supercomputer to keep it all running and link up the ‘Tesla Vision’ system. 360-degree camera coverage was one of the biggest steps over the ‘Hardware 1’ version sold before October 2016. The Tesla hardware comes with three forward-facing cameras in the rear-view mirror housing. The front fender cameras are contained within the faux vents and are almost invisible. Rear cameras combine to give a complete 360-degree view and also a bird’s eye view. All of those cameras feed into the new Tesla Vision system that now owes nothing to Mobileye, which ditched its deal with Tesla and then sold out to Intel for $15 billion. Tesla has developed its own software to run on the Nvidia Drive PX 2 platform. It’s 40 times more powerful than the outgoing chip and the only downer is that Tesla cannot upgrade Hardware 1 cars. So, when the car takes over, those early Teslas should be available for bargain basement money. This is the end-to-end process where eight cameras, radar and ultrasonics feed into one system that makes sense of it all and gives the car the closest that machine learning can come to real judgement. Artificial Intelligence is a key part of the equation and the real world data is feeding into Tesla’s self-driving algorithms that it hopes will be streets ahead of the competition. Right now, all this information feeds into the driver assists, the lane changes and the emergency braking and accident avoidance technology. In the end, the driver will be rendered redundant and that is a massive step. Tesla Enhanced Autopilot: What do you get now? We simply cannot have fully autonomous cars right now. Even if the hardware is there, the regulation has to catch up and there’s a long way to go between now and then. For now your Tesla will effectively take over on the highway and match your speed to traffic, as well as changing lanes and taking evasive action as and when required. The car will self-park and you can summon it from the garage. It can also detect when you’re about to have an accident, hit the brakes and steer out of a potential accident. These are merely appetizers and Tesla is absolutely clear on this, it’s a driver assist function and not actual Autopilot. That’s why the company rolled the system back and ensured that the driver touches the wheel and that can be every 10 minutes or every 60 seconds, depending on the circumstances. If you ignore the alerts then Autosteer locks off and you’ll have to pull over and ‘reboot the system’. Keep aware, though, let the car know you’re awake and alert and it will do a lot of the drudge work for you. Program the speed, the destination and the car will largely do the rest. It will find the fastest route, then take you there. Tesla boss Elon Musk has ploughed a lonely furrow with Autopilot and has found himself lambasted by government bodies, accident investigators and even rival manufacturers. In the wake of the Joshua Brown incident, the likes of Ford and Volvo rounded on Tesla. They claimed that the system invited people to have too much faith in the technology and that it was an unworkable halfway house. The car was doing the legwork, but if people switched off as they’re prone to do then it could fail on any bend. They had a point. Tesla drivers were seen asleep at the wheel, applying make-up or, in Brown’s case, watching a Harry Potter film. Drivers were letting the car do all the work and that caused problems. The California DMV, Chinese authorities and the Germans also weighed in with their thoughts on the Autopilot name and heavily criticized Tesla for marketing the system as an automatic driver rather than a driver assist function. Tesla agreed that the Chinese website was a little ambiguous and changed the wording. It also made changes to the system so that you have to touch the wheel and made clear it is an assist function and you have to remain in control. But Tesla boss Elon Musk decided to actually get his system out there in whatever form he could, which is Level 3 autonomy. In the end, Musk’s dogged determination looks to have won the day and the naysayers have fallen silent while they perfect systems of their own. 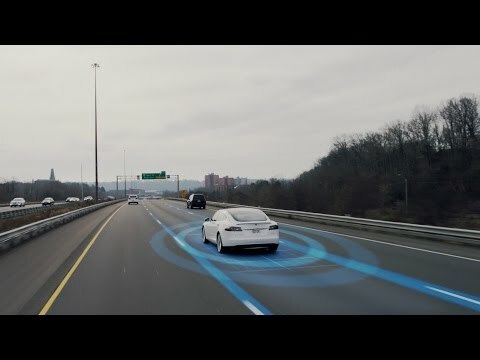 Other manufacturers have insisted on using LiDAR, but Tesla has stuck resolutely with radar and optical processing programs attached to cameras. This is one of the most divisive arguments in autonomous driving right now, as Tesla is standing virtually alone in its argument that LiDAR simply isn’t essential and might not even be up to the job. Instead, Musk believes that using radar signals to create a course-point cloud is more effective and commercially more viable than using a bulky and expensive LiDAR set-up. Tesla seems to be in a minority of one, though, and every major manufacturer and potential rival is working with LiDAR. So now we have to wait and see which system works best in the real world and we have a nagging suspicion that Elon Musk is going to be proven right. He has real world data, he knows how his system behaves and it has to be close to a completely safe autonomous solution. One side is going to be wrong about LiDAR, but until then they’re going to fight it out very publicly. 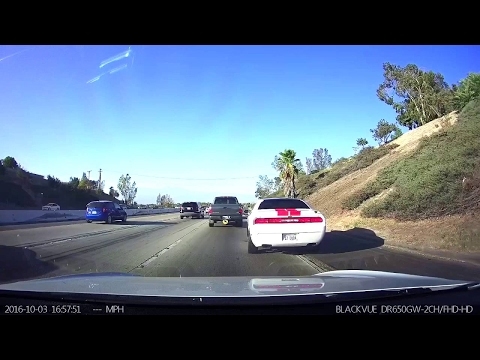 Tesla has played the Autopilot game well. By fitting hardware to all of its cars, it not only had a superb benefit, it had also collected more than 1.3 billion miles of real world driving data in December 2016. Now? It’s closing in on 2 billion miles. All the simulations and private test grounds in the world cannot make up the gap on cars that are out there on the public road. Tesla has fed this information into one of the most advanced AI systems on the planet. The systems compare the Autopilot machines with the manually driven ones and simply find a way to do it better. As Tesla’s fleet grows, the neural network will just keep on crunching ever-increasing numbers and Tesla’s competitive advantage could grow even further. Even now, a Tesla Model S can basically see through the car in front and detect potential hazards long before the human eye. Musk will hope that Hardware 2 is enough, because it’s on every car that’s leaving the factory. But the cars will keep getting better, thanks to over-the-air updates fueled by the AI analysis. The hardware will eventually interact with the Internet of Things, which will be another quantum leap forward. Total safety and zero accidents is the utopian dream, but it could be just round the corner. If it happens, then we’ll look back at Tesla Autopilot as the one that changed the world.